The magazine is filled with incredibly beautiful real Maine weddings, inspirational shoots, and highlights the best Maine wedding professionals. We particularly loved the Laurie Andrew's Rustic & Modern barn shoot with candles, fun and comfortable seating, and the most unbelievable hanging floral and vine treatment over farm tables. 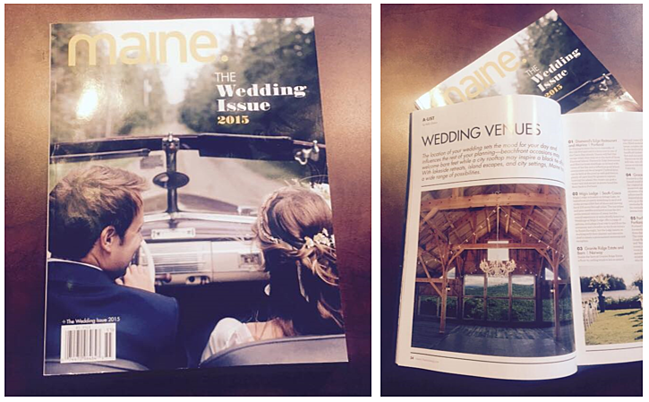 The magazine truly highlights why Maine is such a wedding destination. Also to be noted, our exclusive caterer, Blue Elephant Innovative Events and Catering got a shout out. We could not be more excited to work with them this upcoming season to provide over the top service and an unforgettable experience for all of our guests. There are too many businesses to thank that have helped us get up and running. We can't wait to make Norway, Maine proud to have one of the top wedding venues in the state. Jill Fratianne is one of the owners of Granite Ridge Estate & Barn. It's her mission to make sure her couples have the best day of their lives. 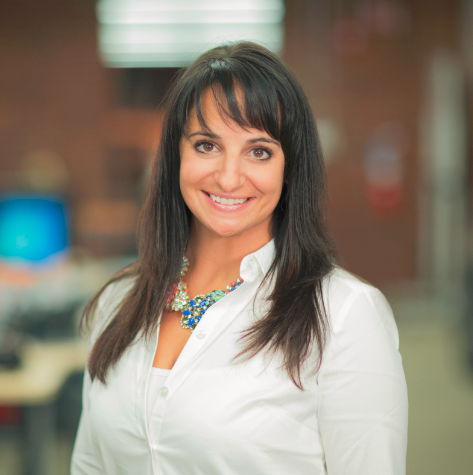 She writes about all things weddings, event planning, and romance in Maine. She was married at Granite Ridge to her husband Gabe and is now the proud mom of Joanna (a.k.a Baby Jedi).